Free admission. We can guarantee an entry and a seat for the first 60 people. In cinema, jazz has often used to portray human vice and crime. Indeed, Lampela’s project has countless models in the hall of fame of Hollywood’s score composers from Elmer Bernstein to Henry Mancini. 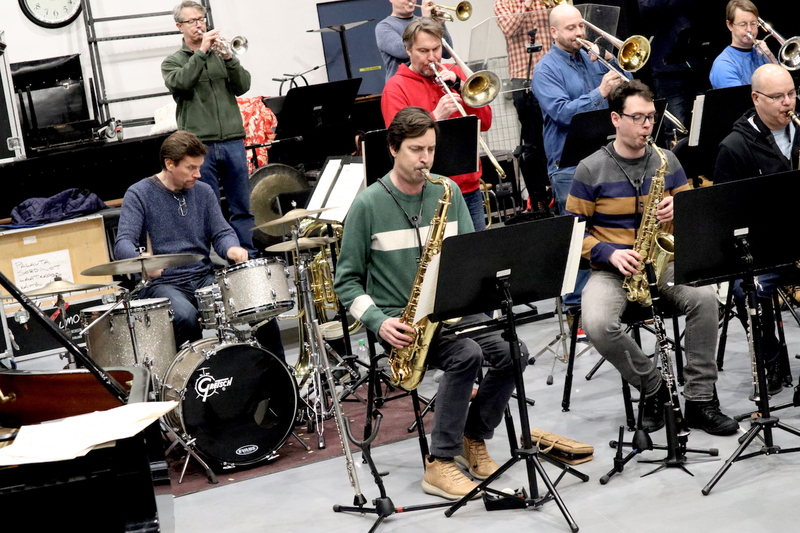 In the concert at Savoy Theater, UMO will be fronted by A-listing Finnish stars saxophonist Jukka Perko and trumpeter Jukka Eskola. To complete this thriller, a video installation by video artist Joonas Tikkanen and audio tape excerpting some of the most important political speeches of the era will be playing throughout the concert in the background. At the Open Rehearsal, conductor Jussi Lampela and UMO will play without guests soloists and the video installation.